Sleep apnea is a serious and common sleep disorder affecting about 12 million Americans, according to the National Institutes of Health (NIH) and Deltasleeplabs.com tries to help the people to know about this sleep disorder. Its name comes from a Greek word, apnea, meaning “without breath.” People with sleep apnea stop breathing briefly many times during the night. The breathing pauses last at least 10 seconds and there may be 20 to 30 or more pauses per hour. The main symptoms of this type of sleep disorder are persistent loud snoring at night and frequent long pauses in breathing during sleep, followed by choking and gasping for breath. People with sleep apnea don’t get enough restful sleep, and their daytime performance is often seriously affected by daytime sleepiness. It may also lead to high blood pressure, heart disease, heart attack, and stroke. However, it can be diagnosed and treated. Sleep apnea occurs in all age groups and both sexes but is more common in men, people who are overweight or obese, and older persons. The disorder is made worse by fat buildup in the neck or loss of muscle tone with aging. People most likely to have or develop the signs include those who snore loudly and are overweight, have high blood pressure, or have some other limitation in size of the upper airways. 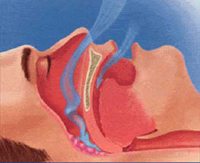 Intermittent (comes and goes) blockage in some part of the upper airways, often due to the throat muscles and tongue relaxing during sleep, can cause sleep apnea. When the muscles of the soft palate at the base of the tongue and the uvula (the small fleshy tissue hanging from the center of the back of the throat) relax and sag, the airway becomes blocked. The blockage makes breathing labored and noisy and even stops it altogether. During the pauses in breathing, the oxygen level in your blood drops. Your brain reacts to the drop in oxygen by waking you enough to resume breathing (and snoring), but not necessarily enough to fully awaken you. The cycle of snoring, not breathing, waking, and resuming breathing means that you do not get good quality sleep. Because of this, you may often feel very sleepy during the day, find it hard to concentrate, and your daytime performance may suffer. The effects of sleep apnea range from annoying to life-threatening. They include depression, high blood pressure, irritability, sexual dysfunction, learning and memory problems, and falling asleep while at work, on the phone, or driving. People with the severe condition are two to three times more likely to have automobile crashes. Also, it increases the risk of heart attacks, high blood pressure, heart failure, and stroke. People with sleep apnea are often not aware that they have it. You should suspect if you often feel sleepy during the day, and you have been told that you snore loudly and frequently, or seem to have trouble breathing during the night. Your bed partner may notice your heavy snoring and struggles to breathe during sleep. Coworkers or friends may notice that you tend to fall asleep during the day at inappropriate times. 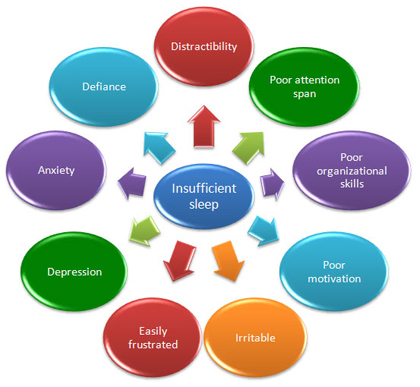 If you think that you have this disorder, it is important that you see a doctor for evaluation of the sleep problem. In addition to your primary care provider, a sleep medicine specialist needs to be involved in the diagnosis, as well as treatment. Diagnosis of sleep apnea is not simple because there can be many different reasons for disturbed sleep. If it is suspected, the sleep medicine specialist will need to perform a sleep study. This usually means going to a sleep center, where tests are done while you sleep. This test is called polysomnography, which records a variety of body functions during sleep. 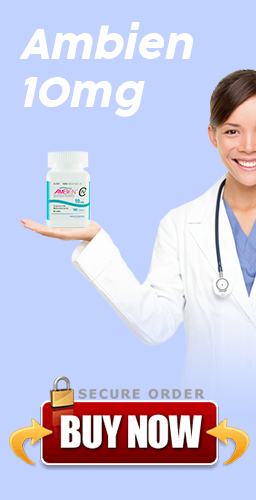 You may be referred to a sleep center for special tests before starting the course of treatment with Benzodiazepines like Ambien.